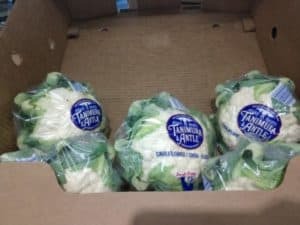 March 1, 2019 by Laurie Leave a Comment This post may contain affiliate links, which means if you click on a link and purchase something, I may earn a small commission (at no additional cost to you.) See my disclosure policy HERE. 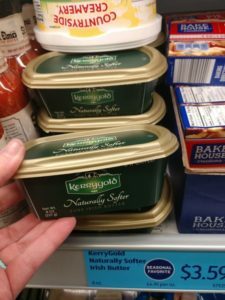 When you're new to Keto it's incredibly helpful to have a keto shopping list on hand so you know what to look for in the store. 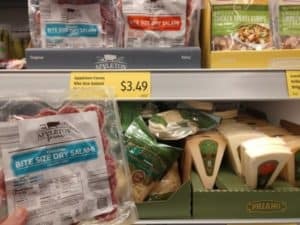 I was so impressed with the variety of Keto supplies at Aldi – here's a list to help you find all the best Aldi Keto goodies! Jamie here! I first started Keto on January 9th 2019 – and as of today I am *still* (knock on wood!) really happy with my progress. I've lost 5 inches in my waist (woohoo!) and am down 20 lbs. I feel so much better in general! 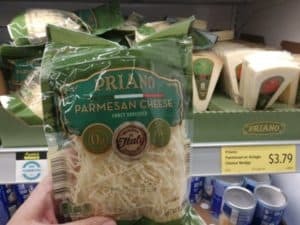 Aldi has SO MANY KINDS OF CHEESE!! And it's all pretty inexpensive. 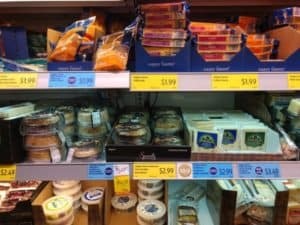 Cream cheese to Irish Cheddar – you could go crazy on stocking your fridge with tons of cheese varieties! 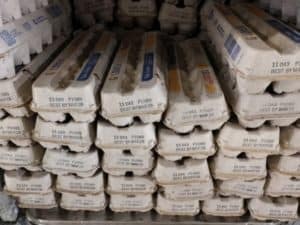 Aldi has the best price in town on eggs – and if you're doing Keto, there's a good bet you're going through more eggs than normal. 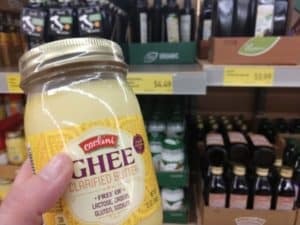 Ghee is an ultra clarified butter – and it's even MORE SUPER EXPENSIVE at some places – but not too bad at Aldi! I actually go through a lot of mushrooms to add an extra texture to my omelettes, meat dishes and soups. 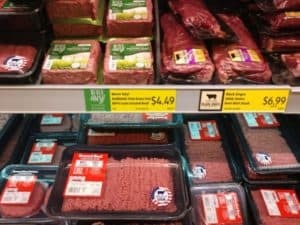 When you're trying to go grain-free (part of the Keto diet) – eating corn fed beef kind of defeats the purpose. 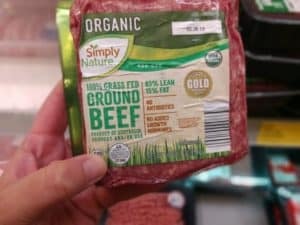 If you're looking to switch over to grass-fed beef, Aldi has their own Simply Nature brand that is pretty affordable! 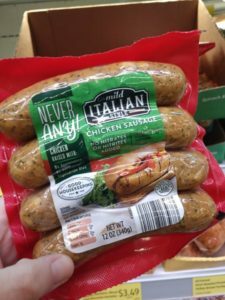 So maybe you're not all the way grass-fed, Aldi still has you covered with a nice variety of pork, beef, chicken, ground turkey, and more! I have heard people say they don't buy their meat at Aldi – but I have no idea why. I've bought chicken, beef, turkey and roast there a number of times and it's always been great! 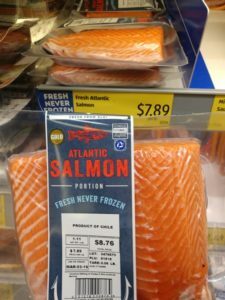 Look for Salmon as well as other fresh and frozen fish – varies seasonally. Are you even Keto if you don't buy your pack of bacon every week?? (Just kidding!) 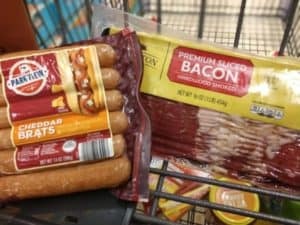 Aldi carries a few different types of bacon – some more fancy, and some that are really inexpensive. Check the back of the package to make sure there are no sugars added in the flavoring process! These are one of my favorite lunches, along with some green beans! I slice them diagonally into medallions and fry them up with some frozen green beans. Yum! 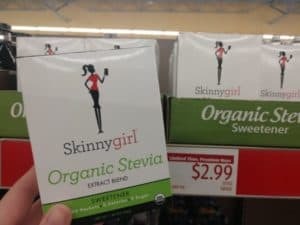 I believe they only have 2 carbs per link. Switch things up a little with this one! Some people love salami – I'll admit I've NEVER had it but if you need some – they have it! 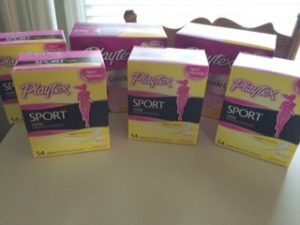 So many people told me about these things I had to buy a couple boxes! They're only 2 grams of carbs each – but I have to admit, I don't love them. If you're in a pinch though, they'll work! 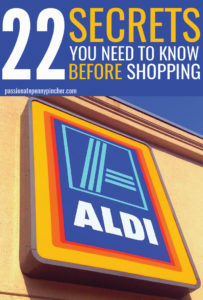 Aldi has LOTS of nuts – including roasted and salted varieties, and raw varieties. 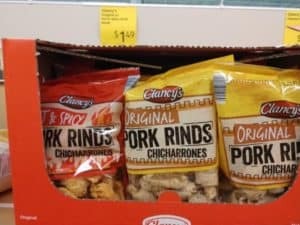 They're SO much less than my local grocery for a big bag. 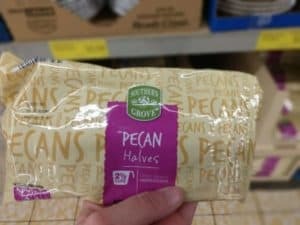 Pecans are my favorite for Keto – they have lots of fat, medium amount of protein, and the lowest carb count I've found yet! 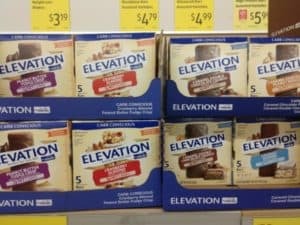 These are only 2 carbs per tub! 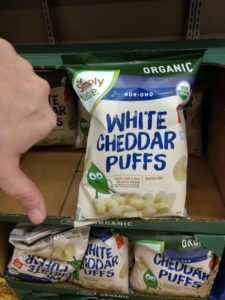 I got SO excited when I saw these white cheddar puffs – I totally thought they were going to be like Moon Cheese. But ALAS!! They're made with rice flour or some such nonsense 🙁 Don't be fooled! 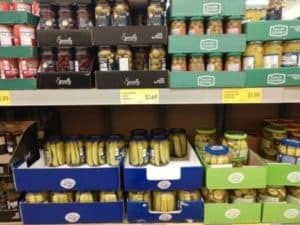 I love snacking on briny olives with little sharp cheddar cheese cubes – and Aldi has a few varieties of jumbo stuffed olives as well as plain ones! Plus if you're a pickle person, or need the juice to cure your Keto Flu – they've got you covered! They come in little squeezy bottles for on the go – or mix in powders. Either way, if you're getting tired of water it's a nice change! Lots of people also recommend drinking Gatorade or Powerade Zero during their first couple weeks of trying Keto. 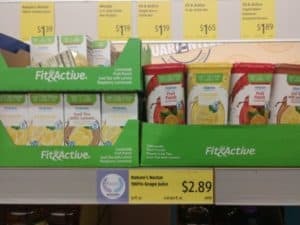 It replenishes electrolytes to help stave off the Keto flu! 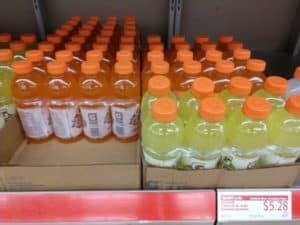 I drank a Powerade Zero a couple times in my first week and my second week, and never got the Keto flu! I drink a lot of coffee on Keto since I'm mixing my MCT Oil and Collagen into it each morning. 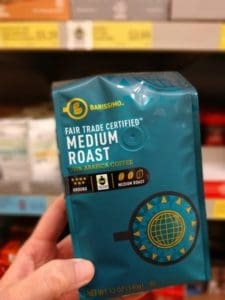 (I have to space out my scoops over a few cups) The Aldi Fair Trade coffee is so good and it's only around $3.50 per bag! 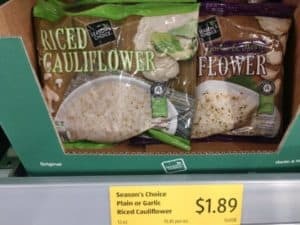 Lots of Keto Recipes sub out noodles, rice and more with Riced Cauliflower. 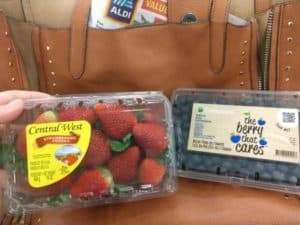 Aldi has large bags for under $2! 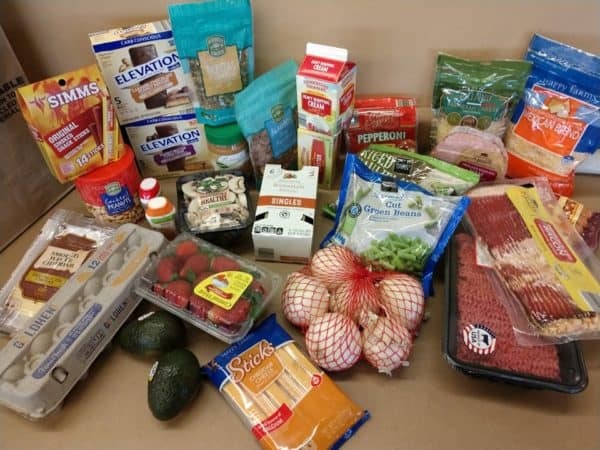 I know this list isn't exhaustive by any means – but I hope it helps you make your Keto shopping list before you head to Aldi! 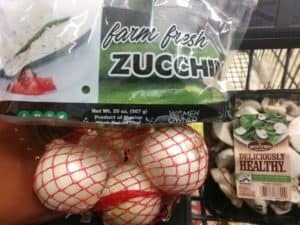 And guys – I would just LOVE to hear about some of the Keto friendly items you normally grab at the store. Leave me a comment below and I may go try out your suggestions! 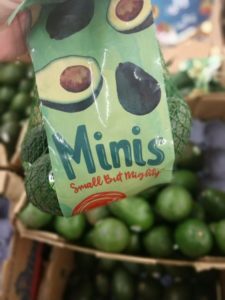 Need more Keto Foods You Can Eat? 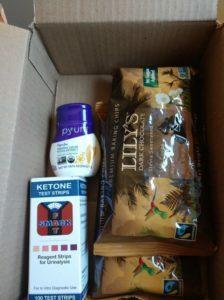 Also check out my Amazon Keto Favorites in this post here! 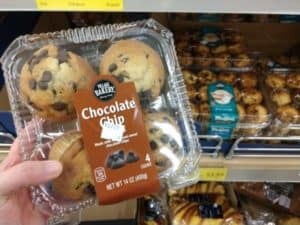 Looking for more info on Aldi? Here you go . . .
July 7, 2016 by Shannon Leave a Comment This post may contain affiliate links, which means if you click on a link and purchase something, I may earn a small commission (at no additional cost to you.) See my disclosure policy HERE. 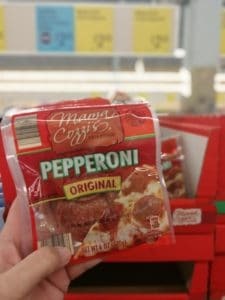 Here's what I snagged for $2.88 out of pocket at Wal Mart! I'm trying to stockpile on Flings and Pods for my oldest daughter heading to college in August. Here's how I did it . 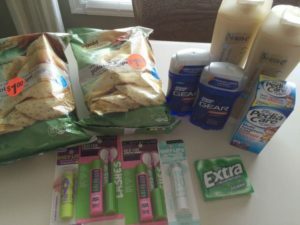 . .
Shannon’s CVS Trip: $50 Worth of Products for $3 Out of Pocket! June 7, 2016 by Shannon Leave a Comment This post may contain affiliate links, which means if you click on a link and purchase something, I may earn a small commission (at no additional cost to you.) See my disclosure policy HERE. I paid $3.51 out of pocket, but lost $6 ECBs ( I will get $5 ECBs from the H&B Rewards). 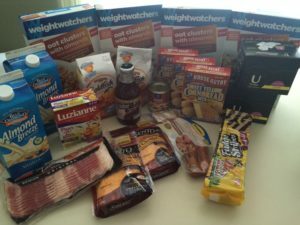 All in all that means I paid $9.51 after coupons, rebate and ECBs! Not too shabby! May 28, 2016 by Shannon Leave a Comment This post may contain affiliate links, which means if you click on a link and purchase something, I may earn a small commission (at no additional cost to you.) See my disclosure policy HERE. March 30, 2016 by Shannon Leave a Comment This post may contain affiliate links, which means if you click on a link and purchase something, I may earn a small commission (at no additional cost to you.) See my disclosure policy HERE. Paid $2.18 out of pocket (tax only), Got $12 ECBs for next week! I paid $2.18 out of pocket, and gained $3 in ECBs. All in all that means made $.82 for 9 items after coupons and ECBs ~ not bad for some great donation items! 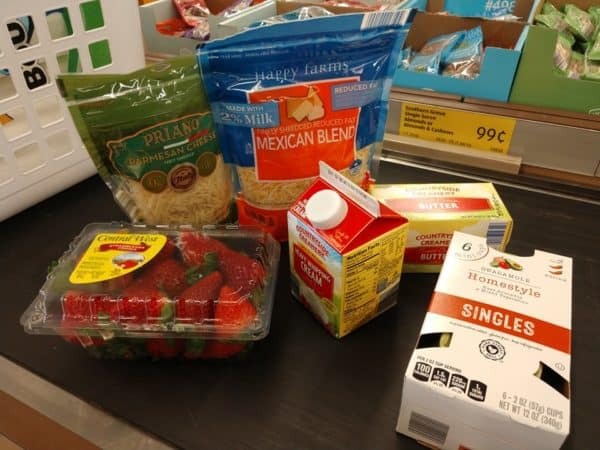 Shannon’s Target Trip: Spent $8 for 15 Items! December 8, 2015 by Shannon Leave a Comment This post may contain affiliate links, which means if you click on a link and purchase something, I may earn a small commission (at no additional cost to you.) See my disclosure policy HERE. December 2, 2015 by Shannon Leave a Comment This post may contain affiliate links, which means if you click on a link and purchase something, I may earn a small commission (at no additional cost to you.) See my disclosure policy HERE. Here’s what I grabbed at CVS this week! This is why I keep rolling my Extra Care Bucks each week . . . I paid $2.15 out of pocket, and lost $17 in Extra Care Bucks. All in all that means I spent $14 for stock up on Charmin! 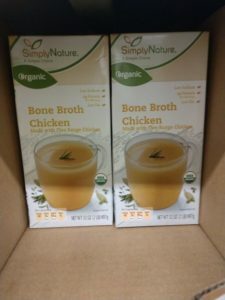 November 22, 2015 by Shannon Leave a Comment This post may contain affiliate links, which means if you click on a link and purchase something, I may earn a small commission (at no additional cost to you.) See my disclosure policy HERE. My CVS was out of a few freebies, but I still got so many deals. I did this in three transactions, and the cashier used one of my coupons accidentally in my second transaction but I didn't get them so I just bought them on the third transaction without the coupon. I paid $5.76 (tax only) out of pocket, and gained $0.99 in Extra Care Bucks. 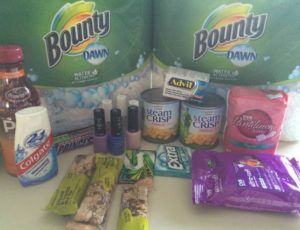 All in all that means I spent $4.77 for 24 items after coupons and ECBs ~ not bad for some great donation items and Bounty Paper Towels! November 17, 2015 by Shannon Leave a Comment This post may contain affiliate links, which means if you click on a link and purchase something, I may earn a small commission (at no additional cost to you.) See my disclosure policy HERE. 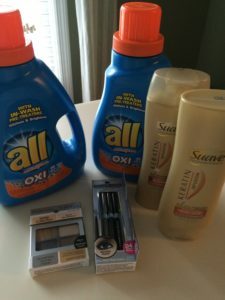 Here’s what I grabbed at CVS this week – such a great way to stock up on Tide, Gain and Pantene Shampoo! I paid $3.38 out of pocket, and gained $1.50 in Extra Care Bucks. All in all that means I spent $1.88 for 6 items after coupons and ECBs ~ not bad for some great donation items and Flings and Pods! November 2, 2015 by Shannon Leave a Comment This post may contain affiliate links, which means if you click on a link and purchase something, I may earn a small commission (at no additional cost to you.) See my disclosure policy HERE. 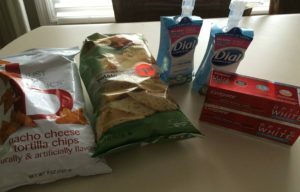 Here’s what I grabbed at CVS this week – such a great way to stock up on Tide and Popcorn Snack Packs! I paid $5 out of pocket, and lost $7.50 Extra Care Bucks. 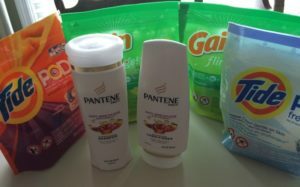 All in all that means I spent $12.50 for 9 items after coupons and ECBs ~ not bad for some great donation items and Tide! October 20, 2015 by Shannon Leave a Comment This post may contain affiliate links, which means if you click on a link and purchase something, I may earn a small commission (at no additional cost to you.) See my disclosure policy HERE. Here's what I grabbed at Target for $1! 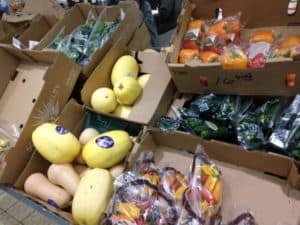 These are great donation items if you are already stockpiled! When you're there, also watch for lots of clearance items.Our store had select bedding, home furnishings, toys and more clearanced 15-15% off. The toys would be great to donate to Operation Christmas Child or your local Toys for Tots drive this Christmas, and you can also use $10 off when you spend $50 or $25 off when you spend $100 towards any toy clearance by texting TOY10 and TOY25 to 827438. (Also watch for the toy coupon in your store ad.) Love that! October 13, 2015 by Shannon Leave a Comment This post may contain affiliate links, which means if you click on a link and purchase something, I may earn a small commission (at no additional cost to you.) See my disclosure policy HERE. Here’s what I grabbed at CVS this week! I was so excited to get school supplies 90% off. Love that! I paid $3 out of pocket, and didn't lose any Extra Care Bucks. 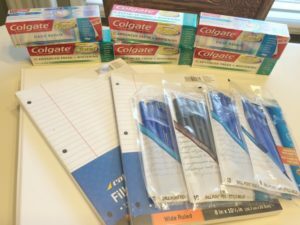 All in all that means I spent $3 for 13 items after coupons and ECBs ~ not bad for some great donation items and to stock up on school supplies! October 5, 2015 by Shannon Leave a Comment This post may contain affiliate links, which means if you click on a link and purchase something, I may earn a small commission (at no additional cost to you.) See my disclosure policy HERE. 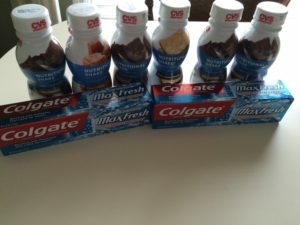 Here's what I grabbed at CVS this week! I paid $1.52 out of pocket, and lost $2 in ECBs (but will get $5 ECBs from Health and Beauty Rewards.) 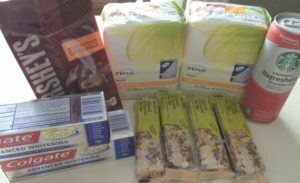 All in all that means I spent $3 for 11 items after coupons and ECBs ~ not bad for some great donation items and to stock up on Paper Towels! It is such a great week to shop! 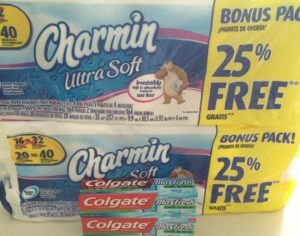 After scoring some great deals on Charmin and Tide at CVS this week, I ran to Target hoping the deals would keep coming. And they did! 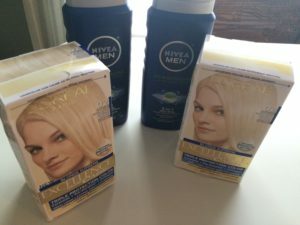 Here's what I scored at Target for $12 ($60 worth of products!) I did this in three transactions (similar to shopping at CVS). I paid $16 out of pocket, but left with a $5 Target Gift Card. All in all that means I spent $11 out of pocket for items I actually need! That is less than the Unstopables price by themselves. Be sure to check out 36 more deals you can’t miss at Target this week before you shop! September 29, 2015 by Shannon Leave a Comment This post may contain affiliate links, which means if you click on a link and purchase something, I may earn a small commission (at no additional cost to you.) See my disclosure policy HERE. I paid $12 out of pocket, and gained $0.50 in ECBs. 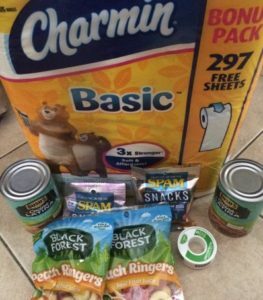 All in all that means I spent $12 out of pocket for 14 items after coupons and ECBs ~ not bad for some great donation items and to stock up on Charmin and Tide! September 21, 2015 by Shannon Leave a Comment This post may contain affiliate links, which means if you click on a link and purchase something, I may earn a small commission (at no additional cost to you.) See my disclosure policy HERE. 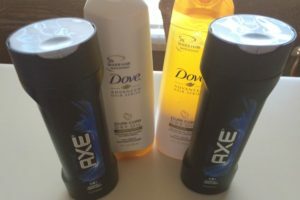 Here’s what I grabbed at CVS this week for just $1.73 (tax only) out of pocket ~ it's a great week to shop at CVS! So I paid $1.73 out of pocket (tax only), and lost $0.50 in ECBs. 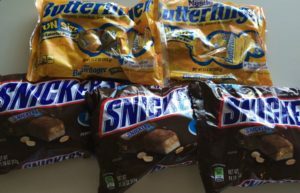 All in all I paid $2.23 out of pocket for 10 items after coupons and ECBs ~ not bad for some great donation items and yummy candy 🙂 ! September 18, 2015 by Shannon Leave a Comment This post may contain affiliate links, which means if you click on a link and purchase something, I may earn a small commission (at no additional cost to you.) See my disclosure policy HERE. Paid $6.31 out of pocket!! Don’t miss 34 more deals you can’t miss at Target this week! September 4, 2015 by Shannon Leave a Comment This post may contain affiliate links, which means if you click on a link and purchase something, I may earn a small commission (at no additional cost to you.) See my disclosure policy HERE. 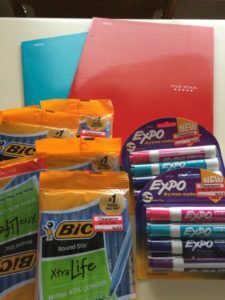 And here were a ton of back to school clearance items at Target that I don't want you to miss . . . If you make it to Target and find any clearance great deals, we'd love to hear about it – leave a comment to share! 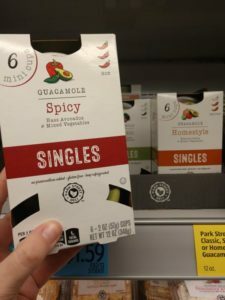 Check out 29 more deals you can't miss at Target this week, and don't miss the $5 off meat coupon starting Sunday at Target too! 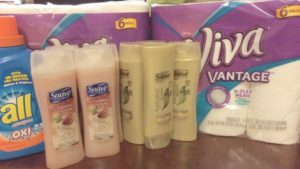 Here’s what I grabbed at CVS this week for just $1.57 out of pocket! So I paid $1.57 out of pocket, and lost $5 in ECBs. 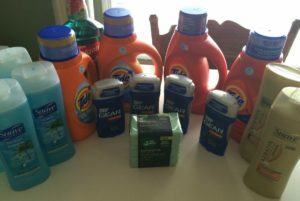 All in all I paid $6.57 out of pocket for 9 items after coupons and ECBs ~ not bad for some great donation items and Tide detergent! So I paid $4 out of pocket, and lost $1 in ECBs. All in all I paid $5 out of pocket for 14 items after coupons and ECBs ~ not bad for some great donation items! And here's a little extra about my shopping experience this week. After getting my receipt from my first transaction, I realized it didn't take off both my $2/2 Gold Emblem printable and $3/$15 CVS cosmetic coupon. The cashier then said she can't take the $3/$15 coupon because it was too late. Instead of getting mad, I asked (in a kind of pitiful voice), “Are you going to be upset if I just cancel my last order?” Instead she gave me $3 ECBs to make up for the $3/$15 coupon since my total was indeed over $15, and returned the chips to put on my next transaction and make up for the amount paid out. I apologized and it all worked out. I thought about how that could've went a total different direction. But really the few dollars aren't worth me throwing a fit to sacrifice my integrity and witness. Everyone in that store knows I help with PPP. So, just a reminder to always be kind to your cashier. You really don't know what kind of day they've had, so choosing to treat them with kindness and respect is always worth it! August 21, 2015 by Shannon Leave a Comment This post may contain affiliate links, which means if you click on a link and purchase something, I may earn a small commission (at no additional cost to you.) See my disclosure policy HERE. Here’s what I grabbed at CVS this week for $0.90 out of pocket! So I paid $.90 out of pocket, and lost $2 in ECBs. All in all I paid $2.90 out of pocket for 6 items after coupons and ECBs ~ not bad for some great donation items! August 14, 2015 by Shannon Leave a Comment This post may contain affiliate links, which means if you click on a link and purchase something, I may earn a small commission (at no additional cost to you.) See my disclosure policy HERE. So I paid $7 out of pocket, and gained $1 in ECBs. All in all I paid $6 out of pocket for $42 worth of items after coupons and ECBs ~ not bad for some great donation items! July 30, 2015 by Shannon Leave a Comment This post may contain affiliate links, which means if you click on a link and purchase something, I may earn a small commission (at no additional cost to you.) See my disclosure policy HERE. 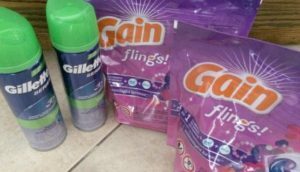 Here's what I grabbed at CVS this week – I'm super excited to stock up on Tide! So I paid $11 out of pocket, and lost $4 in ECBs. 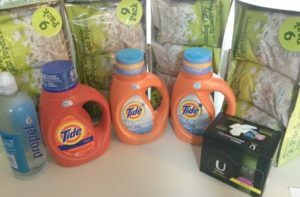 All in all I paid $15 out of pocket for $92 worth of items after coupons and ECBs ~ not bad for some great donation items and stock up on Tide Detergent! 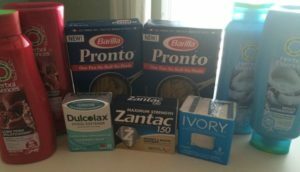 Shannon’s CVS Trip: Charmin Stock Up! July 22, 2015 by Shannon Leave a Comment This post may contain affiliate links, which means if you click on a link and purchase something, I may earn a small commission (at no additional cost to you.) See my disclosure policy HERE. 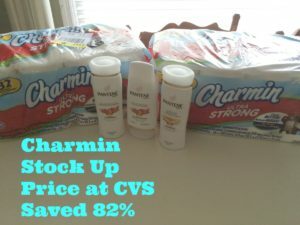 Here's what I grabbed this week at CVS – it's a great week to stock up on Charmin! So I paid $4.40 out of pocket, and lost $11 in ECBs. 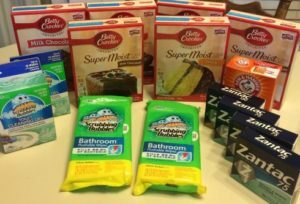 All in all I paid $15 out of pocket after coupons and ECBs ~ not bad for some great donation items and stock up on toilet paper! July 16, 2015 by Shannon 4 Comments This post may contain affiliate links, which means if you click on a link and purchase something, I may earn a small commission (at no additional cost to you.) See my disclosure policy HERE. 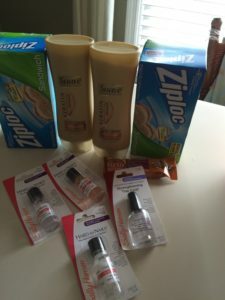 Here's what I grabbed this week at CVS for $6 out of pocket for $48 in products! 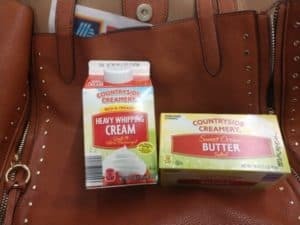 Paid $4.22 out of pocket, Got $14 ECBs for next week plus I get $5 ECBs in Health and Beauty Rewards! So I paid $6.28 out of pocket, and lost $1 in ECBs, but gain $5 in Health and Beauty Rewards. All in all I paid $6 out of pocket after coupons and ECBs ~ not bad for some great donation items! So I paid $2.96 out of pocket, and lost $3 in ECBs. All in all I paid $6 total (mostly in tax) after coupons and ECBs ~ not bad for some great donation items! July 2, 2015 by Shannon Leave a Comment This post may contain affiliate links, which means if you click on a link and purchase something, I may earn a small commission (at no additional cost to you.) See my disclosure policy HERE. I promise, it's worth it (this trip is proof!) Here's what I bought . . . Heading to Target? Don't miss 20 more deals you need to score at Target this week! 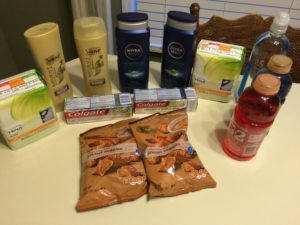 Here's what I grabbed at CVS for $2 this week – love that! So I paid $1.80 out of pocket, and lost $1.50 in ECBs. All in all I paid $3 total after coupons and ECBs ~ not bad for some great donation items! June 25, 2015 by Shannon 6 Comments This post may contain affiliate links, which means if you click on a link and purchase something, I may earn a small commission (at no additional cost to you.) See my disclosure policy HERE. 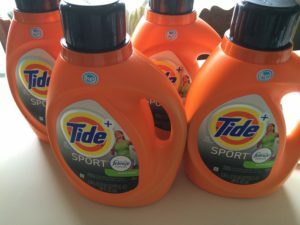 Target has a decent deal on Tide going on this week! Here's what I bought . . .
And now here's my HE laundry detergent question for you . . .
On Friday I threw a load of laundry in the washer, and when I went back in the laundry room there was water covering the floor ~ YIKES! So we went to Lowe's, and God must have been watching out for us because they were having a huge washer and dryer sale this weekend. We bought a top-loading HE washer, but I have a ton of Tide stockpiled and it's not made for HE washers. Does anyone use regular laundry detergent in their HE washer? I looked up some opinions online, and most things I read said not to use non-HE detergent in an HE washer. Anyone have any experience with this? I'd love to hear your thoughts – leave a comment to share! June 25, 2015 by Shannon Leave a Comment This post may contain affiliate links, which means if you click on a link and purchase something, I may earn a small commission (at no additional cost to you.) See my disclosure policy HERE. 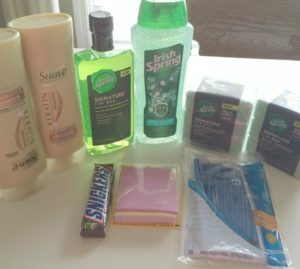 Here's what I grabbed at CVS this week for $4.50 ~ regularly priced at $35! So I paid $4.50 out of pocket, and gained $.50 in ECBs. 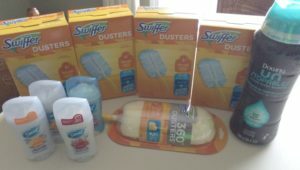 All in all I paid $4.08 total after coupons and ECBs ~ not bad for some great donation items! I was excited because I can donate the Ziploc to our church's Vacation Bible School. Love that! June 18, 2015 by Shannon Leave a Comment This post may contain affiliate links, which means if you click on a link and purchase something, I may earn a small commission (at no additional cost to you.) See my disclosure policy HERE. Here is what I grabbed at Kroger for $17. 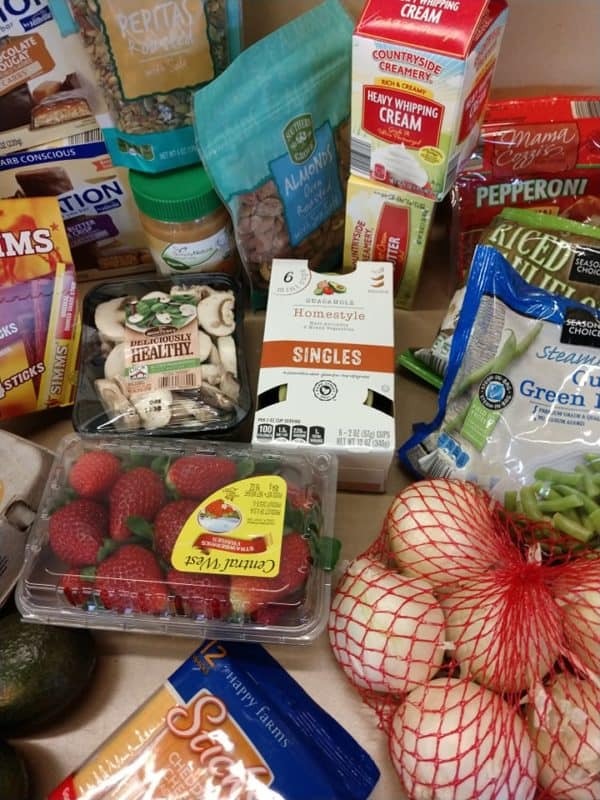 I was so excited about the awesome deals in the Mega Sala – it's a great week for Krogering! 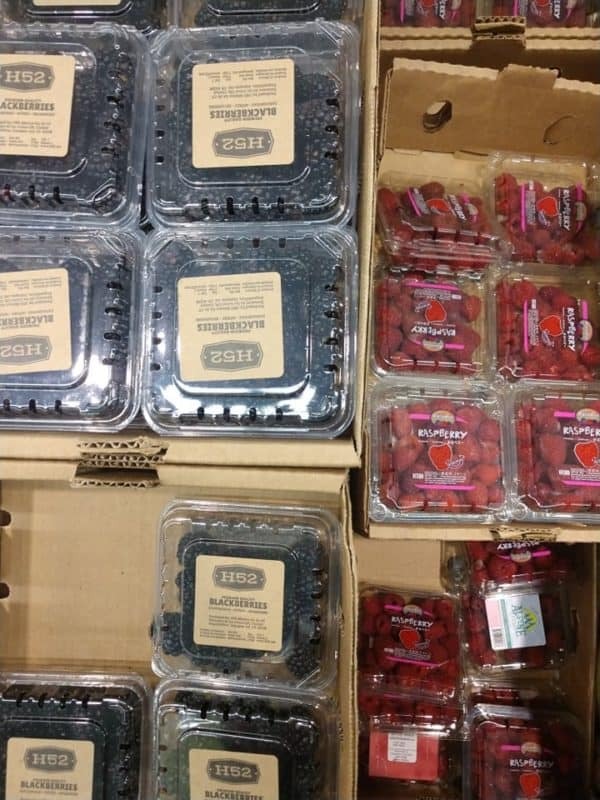 Used $1/1 printable try zip code 89104 Thanks iheartkroger! June 15, 2015 by Shannon Leave a Comment This post may contain affiliate links, which means if you click on a link and purchase something, I may earn a small commission (at no additional cost to you.) See my disclosure policy HERE. 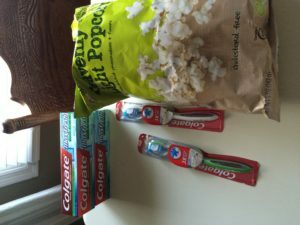 Here’s what I grabbed at Target tonight – I got paid $1.50 after coupons and gift cards to shop! It’s a great week for Target shopping – go HERE to see all the deals before you shop. So I paid $13.50 out of pocket, Got $15 Gift card so it’s like I got paid $1.50 for all 4 items! 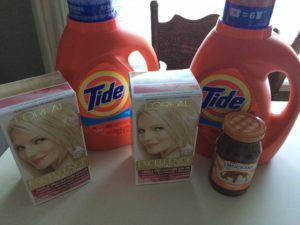 Shannon’s Target Trip: Spent $10 for Tide, L’Oreal and Smuckers! June 11, 2015 by Shannon Leave a Comment This post may contain affiliate links, which means if you click on a link and purchase something, I may earn a small commission (at no additional cost to you.) See my disclosure policy HERE. Here's what I grabbed at Target for $10.70 this week! It's a great week for Target shopping – go HERE to see all the deals before you shop. So I paid $15.70 out of pocket, Got $5 Gift card so it's like I paid $10.70 for all 5 items! Not bad since that is the normal price on one of the bottles of Tide. Woot! 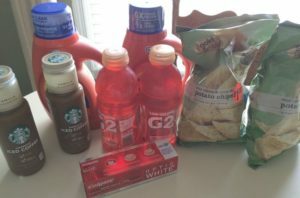 Here's what I grabbed at CVS this week for $.29 ~ so excited about the freebies this week! Don't miss these 11 deals you can't miss at CVS this week – it's a great week for CVS'ing! June 9, 2015 by Shannon 2 Comments This post may contain affiliate links, which means if you click on a link and purchase something, I may earn a small commission (at no additional cost to you.) See my disclosure policy HERE. I was super excited about my Target Clearance finds today! I went hoping to find a FitBit on clearance for $90. The guy in electronics said he sold the last two this morning though, so I decided to spend a whole lot less and grab this (last) Jawbone UP24 that was on clearance for $19.44 regularly $129.99 (compared to Amazon for $54 on clearance). I know it isn't as good as the FitBit but for a fraction of the price I can try it out! If anyone has a Jawbone I would love to know if you like it or not. The people in electronics said I have 30 days to return it if I do not like it, so I figured it was worth a shot! 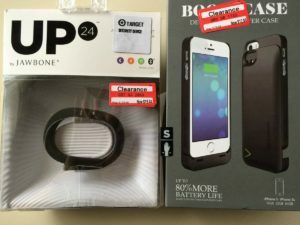 Have you scored any great Target clearance deals lately? I'd love to hear what you've found! Also be sure to check out these deals you can't miss at Target this week. June 1, 2015 by Shannon Leave a Comment This post may contain affiliate links, which means if you click on a link and purchase something, I may earn a small commission (at no additional cost to you.) See my disclosure policy HERE. Here's what I grabbed at CVS this week! I forgot my coupons (as usual when I go to CVS . . . ) so I had to make due with what I had. 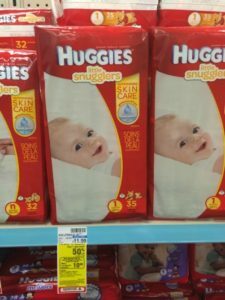 I always love stocking up in Charmin when they have this deal!